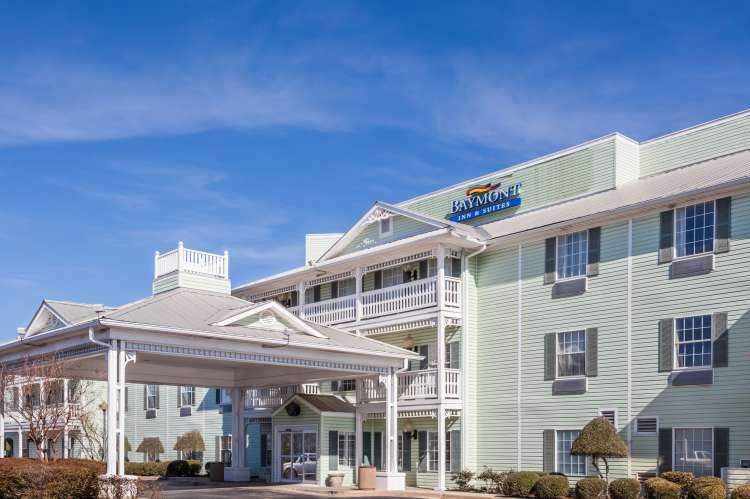 Baymont Inn & Suites hotel is conveniently located just minutes from Decatur Mall and Alabama Army National Guard Armory. This Decatur, AL hotel is five miles from the Tennessee River and 10 miles from Calhoun Community College. The Huntsville International Airport is 16 miles away. Hotel offers hot deluxe breakfast, Manager's Reception M-Th, on site and off-site Fitness Center, on site guest laundry and there's a restaurant adjacent. 98 rooms.